The BFG’s biggest problem is that the story doesn’t fit on the screen very well. Spielberg and the effects team to a wonderful job creating The BFG and making him and his world look real enough, but the structure of the story doesn’t quite work as a movie. It ends up feeling distracted and scattershot. That is not unlike the how I felt about the book years and years ago. The BFG may be a true and faithful adaptation, but that doesn’t make it a good movie. The technical achievement of the character The BFG is worth noting. While it doesn’t ever quite look real, it does look good. The look of The BFG and his house are believable in that totally unbelievable dreamlike way that permeates the movie. The best part of the movie is early on, when BFG is hiding in the dark streets of London, making his cape and horn look like trees and light posts in silhouette. It shows some wonderful inventiveness. Mark Rylance infuses the characters with a charming vulnerability as he catches dreams and mangles words. While he is great, Ruby Barnhill does good work as Sophie. She is smart and adventurous. The pairing works well together. The only other characters that get much time are the rest of the giants, who are evil man-eaters with names like Bonecruncher and Gizzardgulper. They are giants both to Sophie and to BFG, who they bully. There are some great scenes that play with the three levels of size between the characters, with the bad giants being at least twice the size of BFG and he being about 10 times bigger than Sophie. It is visually interesting, at least. It is too bad about the scattered, episodic nature of the plot. I know that is kind of a shot at Dahl’s original, but at the risk of having everyone tune me out, I’ve never been the biggest fan of Dahl or the BFG. It starts well, with Sophie spying BFG at night and him taking her away to Giant Country. They have some adventures and misunderstandings at his house before he takes her dream catching. Up until this point the movie has been largely great. A little lacking in drive at times, instead content to meander around to give BFG a chance to say funny words. The third act, though, is a real let down and killed my interest in the movie. Without spoiling anything, the duo’s plan to deal with the man-eating giants is supremely disappointing. It ends up feeling a lot like Favreau’s The Jungle Book from earlier this year. It is a wonderful looking film, but the visual magic doesn’t translate into wonder. It looks nice, sure, but the movie itself is edgeless and dull. Comparing this to past Spielberg films like E.T or even The Adventures of Tintin shows its lack of substance. Outside of the silly words, fart jokes and technical wizardry, there really isn’t much to The BFG. 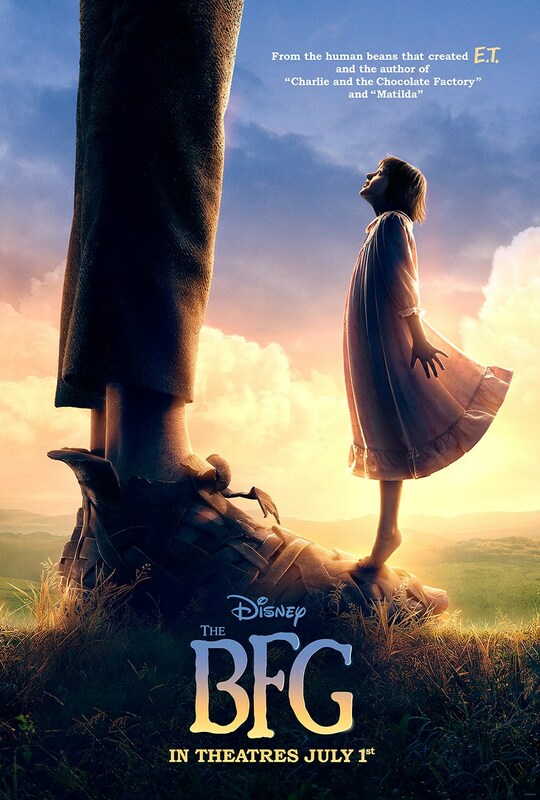 You may not like the ending now, but just wait till the directors cut, BFG: BFG Edition. There’ll be plenty more action to be found in that particular version!